After meditating on the home as a place of rest and learning, I’m on to purpose #3: the home as a holy place. *exhale* I already feel convicted and I’ve barely started typing yet. I suppose it’s because I know our home isn’t always very holy. I think I delude myself into believing I can contain the unholiness, like a visitor I can relegate to just one room. Hand her a glass of iced tea, lock the door, and only come in for a visit now and then. Like when the kids are in bed and I want to watch something entertaining. Or when I’m really mad and I “deserve” to let off some steam. Or when things get tough and I want to slip into her room and daydream about an easier life. But the truth about unholiness is she will not be contained. She’s not the kind of visitor who makes her bed in the morning and only emerges for breakfast. She’s the kind who overtakes the house. Who leaves her socks in the den and her thoughts in your heart and her perfume in the air. She’s the visitor who grows to define the home, until one day you realize she’s become the tenant and you’ve become the guest. And yet, the concept of a holy home is such a beautiful one to me. I long for our home to be set apart for Christ, a sacred place where He is pleased to reign. But how? How do I kick unholiness out of my house and lock the door behind her? Recognize that for unholiness to enter the home it must first enter our hearts. Unholiness can’t sneak into our homes of its own volition. We are the ones who track it in like mud on the bottom of our shoes. What makes it so deceptive is it takes many forms. A stray thought that becomes a companion, a bitter resentment watered daily, a quiet addiction kept under wraps. Before long these things determine the mood and atmosphere of a home. But what if we got on our knees and kept short accounts with God, regularly repenting of the unholiness in our hearts? Surely this would be the primary way to purge our homes of such an unwelcome guest. Consider the vulnerabilities of every member of the household. When the Israelites were preparing to enter the Promised Land, God warned them: “Do not bring any detestable objects (idols) into your home, for then you will be destroyed just like them. You must utterly detest such things, for they are set apart for destruction” (Deut. 7:26). The point is our homes should be a refuge from the things God hates. They should be places of protection from temptation for every member of the household. Which means when I rent a movie I don’t just need to consider the things that make me stumble, but the things that make my husband stumble as well. The detestable idols that easily ensnare me may not be the same idols that easily ensnare members of my family. Give Christ preeminence in the home. “Where the Spirit of the Lord is, there is freedom” (2 Cor. 3:17). Not only must I dethrone ungodly idols in our home, I must enthrone Jesus Christ as the true King. 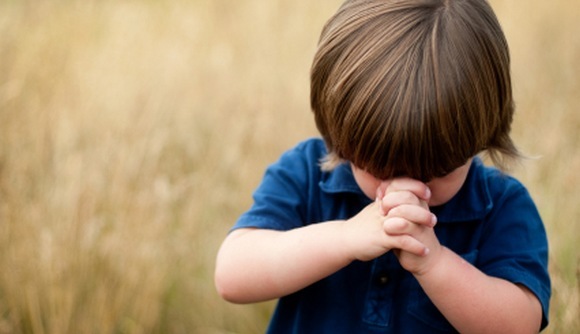 As a child, whenever we moved to a new home my parents would pray their way through the whole house. Living in foreign countries where idol worship was common, they literally dethroned any false gods who had been worshipped within the walls and exalted Christ as Lord of the home. They prayed for the people we would serve and the ministry that would take place within our home. They gave each room to God, for His glory, asking Him to grant us sleep in our bedrooms, harmony in our family room, fellowship in our kitchen. It’s a small start, but these are the things I’ve been mulling over. So often I am the fool who not only fails to lock her door, but swings it wide open and invites unholiness in for a cup of tea…only to wonder why she leaves the china in shambles. What about you? How do you cultivate a holy home? How do you protect it from the influences of an ungodly world? One of my favorite things about this series on the purposes of the home has been your feedback. I loved all the suggestions for teaching and resting in the home, so if you’ve got a second (and some insight to spare!) I’d love to hear it. This entry was posted in Homemaking on November 1, 2013 by jeanneharrison. What to do when your husband has a mind of his own and your daughter is a grown adult. I think I will just have to be a silent witness and let The Lord change them. I don’t have much influence over their decisions. Sad to say. One of the verses which helped me a lot with this issue is Ezekiel 20:39-40. I was struggling with deep discouragement over not being able to get rid of idols from our house, or over only being able to rid them from my house, not my desires. That passage, which begins by telling Israel to return to her idols, goes on to promise Israel will fear God’s name. I found it comforting to realize that I wasn’t keeping God out by my idols, but that He was working tirelessly to win me completely from them. I was just reading this passage again tonight, thinking about the deliverance He has already accomplished. Praise God that His work is not dependant on our perfection. Thank you for sharing your thoughts on something we all struggle with! I especially liked your point about keeping unholiness out of our hearts. While reading this, I was thinking of the fact that God has said “My grace is sufficient for you, for my strength is made perfect in weakness” (2 Co. 12:9). There are so many areas where I have not won a single battle until I throw myself back into the grace of God & let Him be the strong one. I’ve had to run to my “Daddy’s” room & have HIM kick unholiness out (even when I invited her in). We do all that we can do but then we trust in the grace God gives us – knowing that it is enough even if it doesn’t look like we’ve won the battle yet. In such a situation I hear the words of Moses: “Stand still, and see the salvation of the Lord, which He will accomplish for you today…The Lord will fight for you, and you shall hold your peace” (Ex. 14:13-14). Yes! Love this–thank you for the encouraging reminder. Only by grace. One thing I try to do regularly is to have worship music playing at home. The International House of Prayer out of Kansas City has a free web-stream that I will sometimes play. You can find it at http://www.ihopkc.org. I play guitar, so sometimes if the kids are fussy, I will pull out the guitar and just sing. It helps me re-center my heart, and it helps them because they love music. I also try to practice little “2 second” prayers throughout the day–simple things like, “Jesus, thank You that You are with us,” “Jesus, I love You,” etc…There are many days that I still find myself feeling frazzled, and my mind and emotions feel like a roller-coaster ride. It is my desire, though, that our home be a place of worship and that my children grow up seeing worship and prayer as being a normal part of life. It is by His grace and His holiness! One thing that I try to do when I know unholiness is creeping into my words or should I say spewing out of my mouth, on those days when my patience is thin, is gather the two kids and my self and just pray out loud, ask for forgiveness and cleansing. Most importantly I want to be real with my kids so that faith isn’t something I preach – instead to live in a way that they see me in constant need of Him, constantly depending on Him. I love that, and I love that you said “spewing out of my mouth”–lol. One of my favorite things about blogging is realizing I’m not alone, & getting these kind of ideas from others. Will be putting this idea into practice.